The Standard CT Hanger pack contains 30m of strong clear tape and 10 locking capsules to hold the tape up into the track. The flat tape offers advantages over other nylon hangers. It’s wide area of grip means the hooks won’t slip. Also the hook always points outward ready to accept the picture. Cut the Clear Tape to size as needed. If you have any tape left over you can purchase extra locking capsules separately. These hangers must be inserted from the end of the track (ensure there is 4mm clearance for this purpose). Weight bearing capacity is 15kg per hanger. 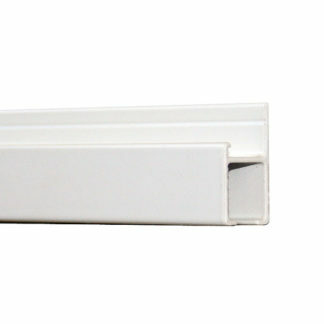 SKU: GBLHANPCT Category: Standard Gallery System. A heavy duty system with lighting capability.